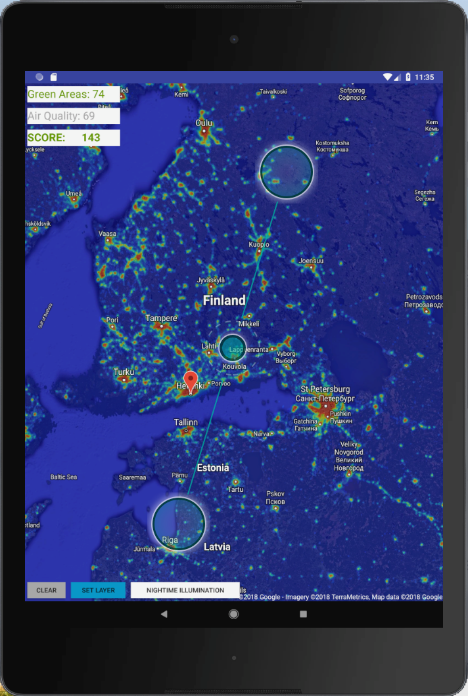 The winning app from ESA’s Space App Camp 2018 utilises Copernicus App Lab tools and data to guide urban planning in more sustainable and greener ways. Urbansat provides a range of data for urban planners and city municipalities including information on green spaces, terrain, biodiversity and more, all in one place and at an affordable price. The Urbansat map interface featuring high-resolution satellite data with interchangeable layers shows vegetation, green areas, air pollution level, land cover, terrain, night-time illumination, etc. 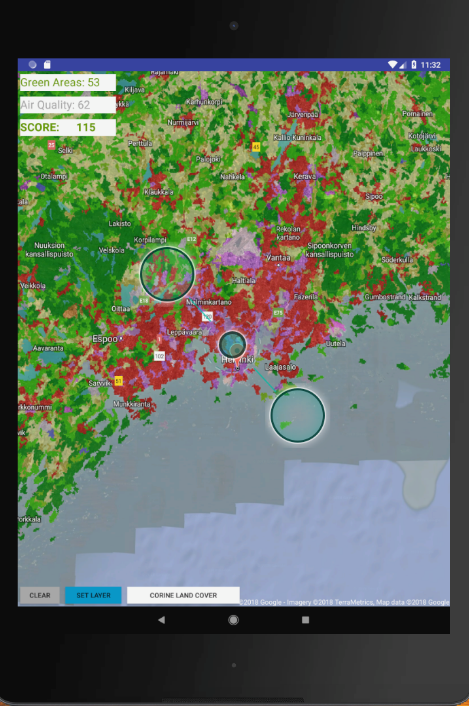 The environmental impact of pre- and post-construction building scenarios is implemented as an app feature. 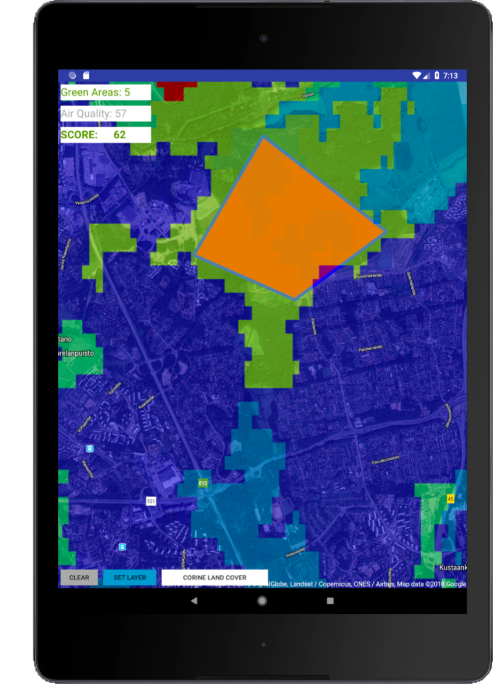 The app’s map interface has a drag and drop feature, which allow users to compare scenarios pre and post build for their construction projects, through the generation of relevant data, largely derived from Sentinel satellites including the linked data versions e.g. of Corine Land Cover. What happened after the App Camp 2018? Following the App Camp, the Urbansat business idea and prototype app were extended to create UrbanAI – next-generation software for global smart cities. UrbanAI is currently being developed by Olga and Cédric Bodet and their newly founded the startup Zero Gravity Oy. Learn more about the app and the team here.